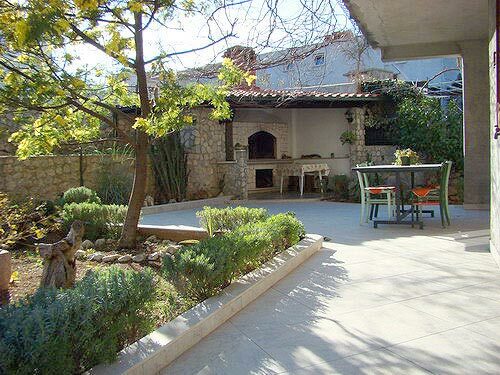 You will find Apartments in Trogir, by Smuketa family on Ciovo Island just 50 meters from the sea and about 500 meters from Trogir historic center, Croatia . Historic center of Trogir in Croatia has been inscribed in the UNESCO World Heritage List in 1979. 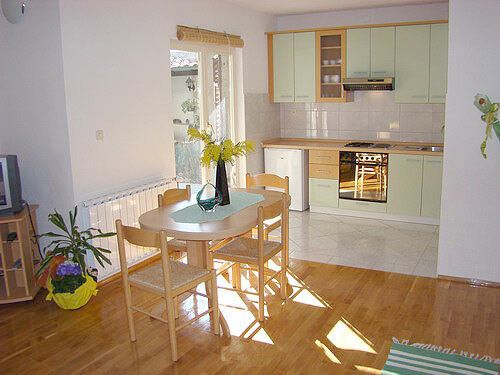 Apartments in Trogir, Croatia, by Smuketa family offer accommodation in typical Mediterranean house, in Trogir center, near the sea, with capacity of 12 persons in 3 apartments. 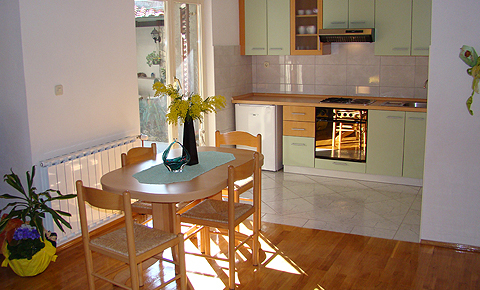 All our apartments are fully furnished and equipped. 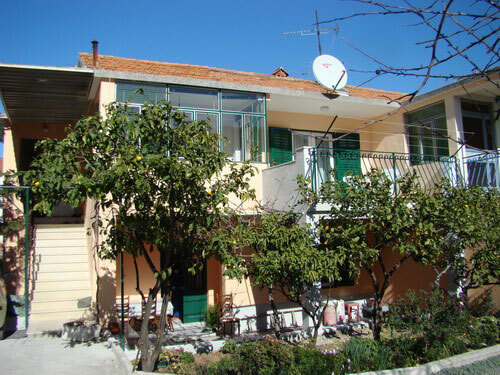 Apartment for five A 2+3/A: This beautiful apartment is located on the ground floor surrounded by the greenness of the garden. Apartment has one bedroom with double bed, living room with three sofa beds, air-condition, wireless Internet connection, TV/SAT, beautiful terrace with fire place , bathroom with shower, completely furnished kitchen, parking space. Capacity: 5 persons.